EPF specializes in high performance aerospace floors & aircraft hangar flooring and coatings. We provide a turn key application including, materials, installation, and solid warranty. The cost of these systems typically runs $2-4/ sq foot, complete turn-key, depending on the size and complexity of the project. We also have 1/4″ troweled resurfacers, for extremely deteriorated concrete, or heavy traffic and impact loads. 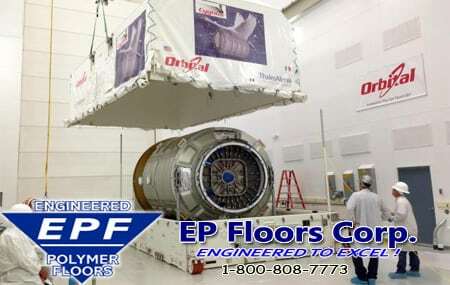 EPF has invested in millions in specialized surface prep equipment, to get hangar flooring projects completed quickly and efficiently. 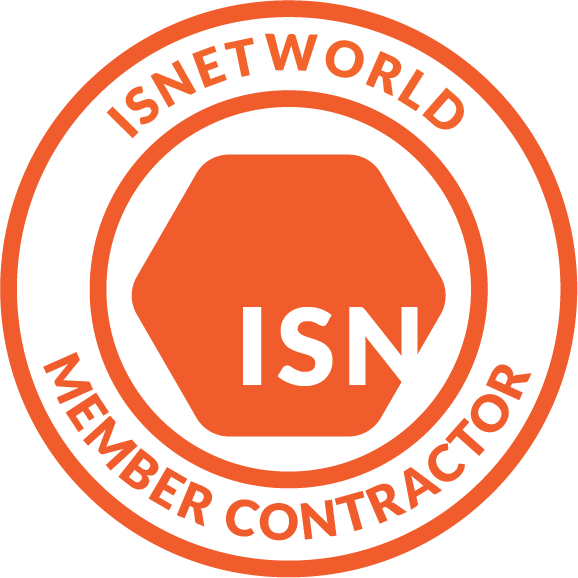 Our company based installation crews are highly trained, to get the work done safely, accurately, with the least interruption to ongoing operations. 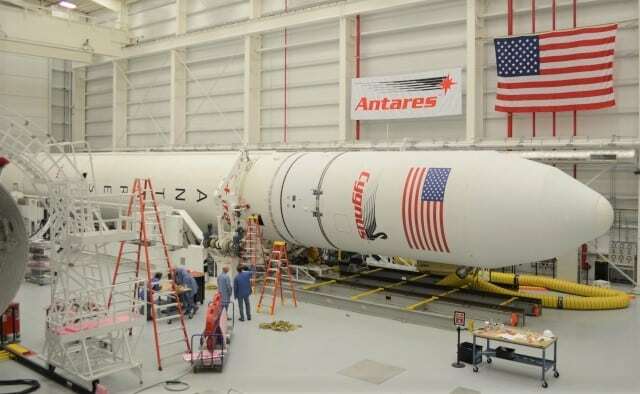 With partner with major manufacturers, which offer the latest technology in coating science. 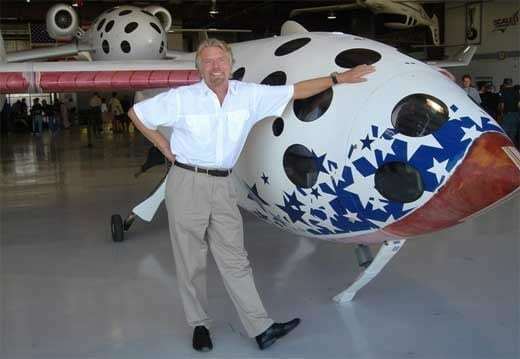 We work with companies such as Sherwin-Williams and Florock. 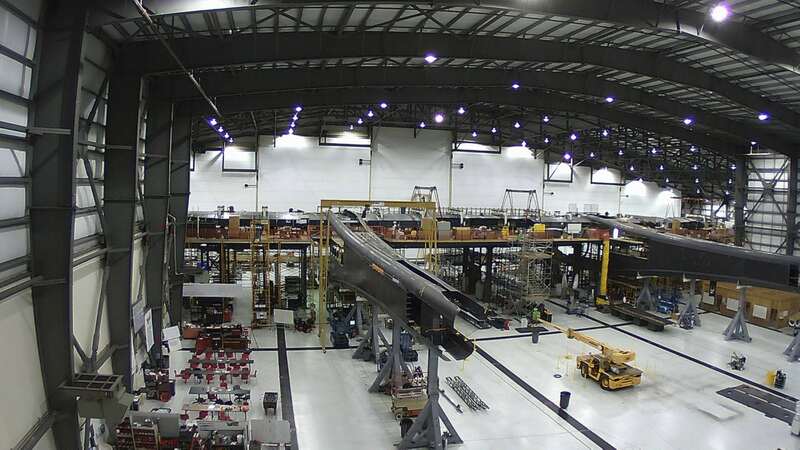 Typical system consists of a high performance epoxy primer, with urethane top coat. Finished system allows the concrete slab to “breath”, which permits water vapor to harmless pass thru the coatings. This eliminates any chance of peeling/delamination or bubbles from concrete moisture. 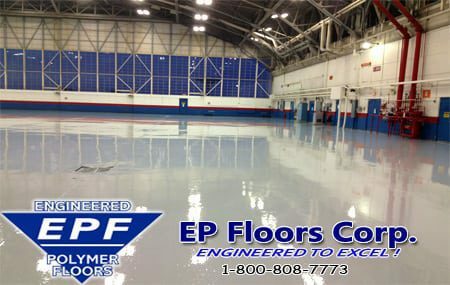 EPF utilizes the latest technology in epoxy, polyaspartic and urethane coatings, which offer the highest abrasion resistance possible. Rolling loads due to aircraft and traffic, require a durable, abrasion resistant surface. EPF’s coating system provide a high-gloss, light-reflecting, easy to clean surface. 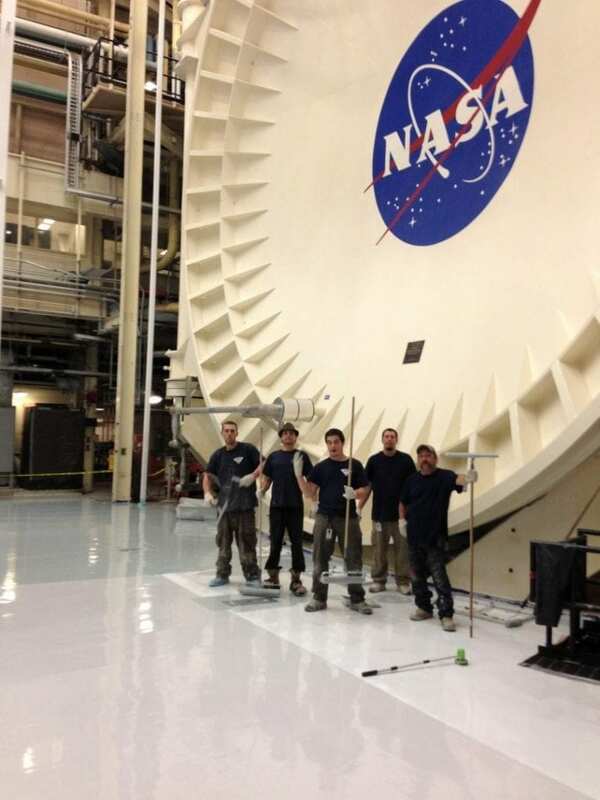 Our floors will not yellow or dull due to ultraviolet degradation, as do some lesser quality hangar floor coatings. 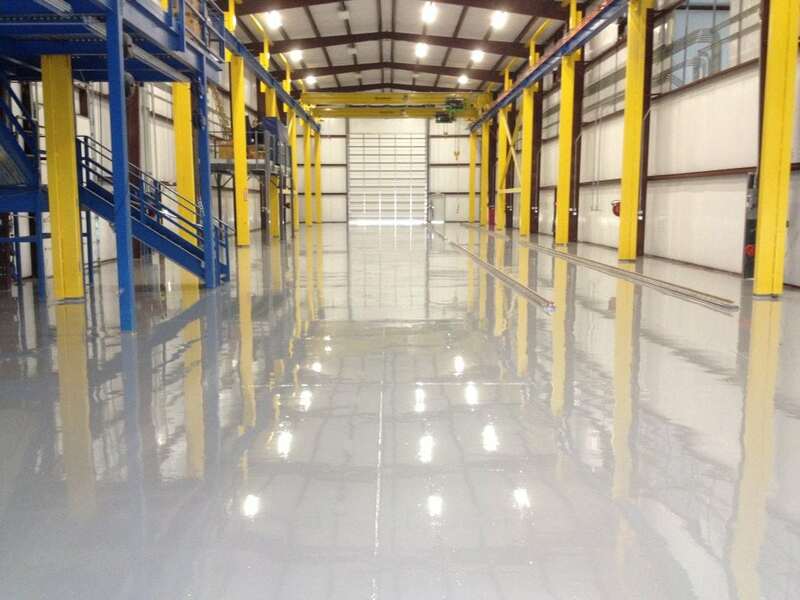 The bright, clean surface allows easy identification of parts or liquids on the floor. 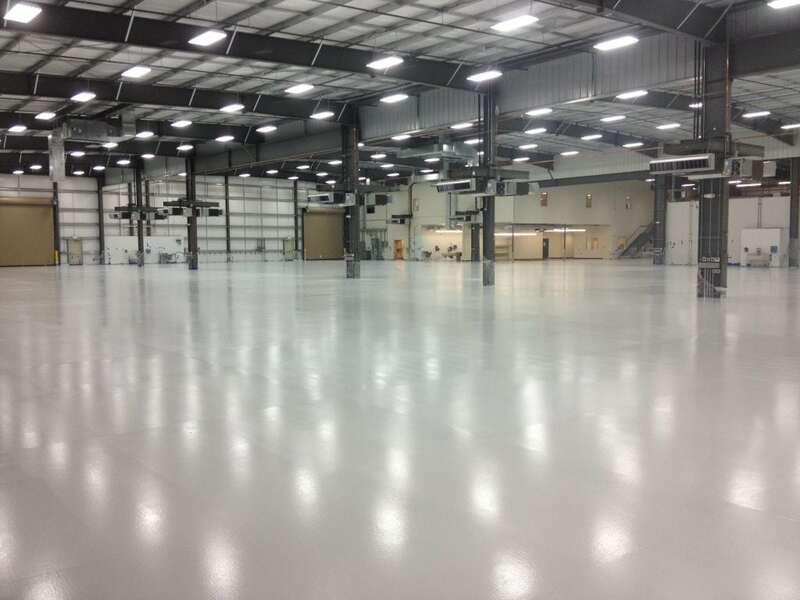 All of EPF’s hangar flooring incorporate an extremely easy to clean finish, making them look new for years to come. 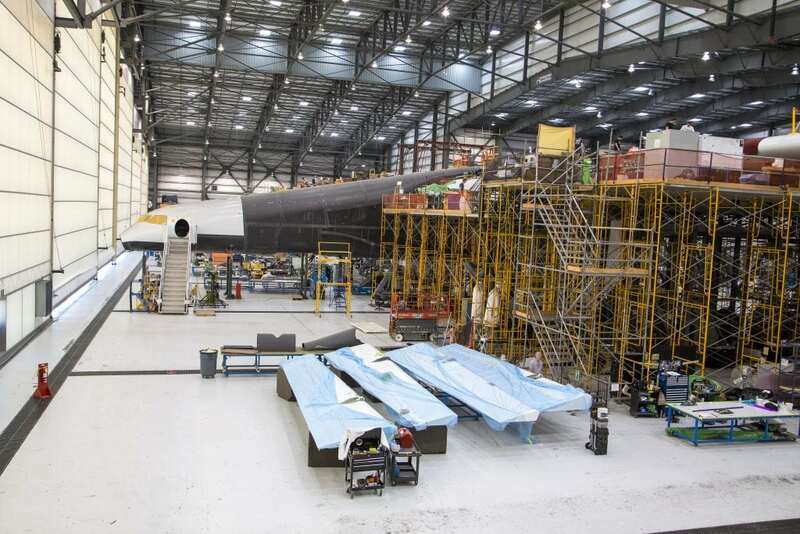 EPF’s topcoat resists all fluids commonly used in aircraft maintenance including Skydrol. Skydrol will not damage the coating, thereby preventing contamination of the concrete, or seepage into the ground. In addition to a standard smooth finish, EPF can provide a textured, non skid surface for the floor. This is accomplished with the incorporation of an extremely long-wearing aggregate into the system, making the surface texture of the floor coarse, and preventing it from becoming slippery when wet.